The sky! The sky! I am in the sky! 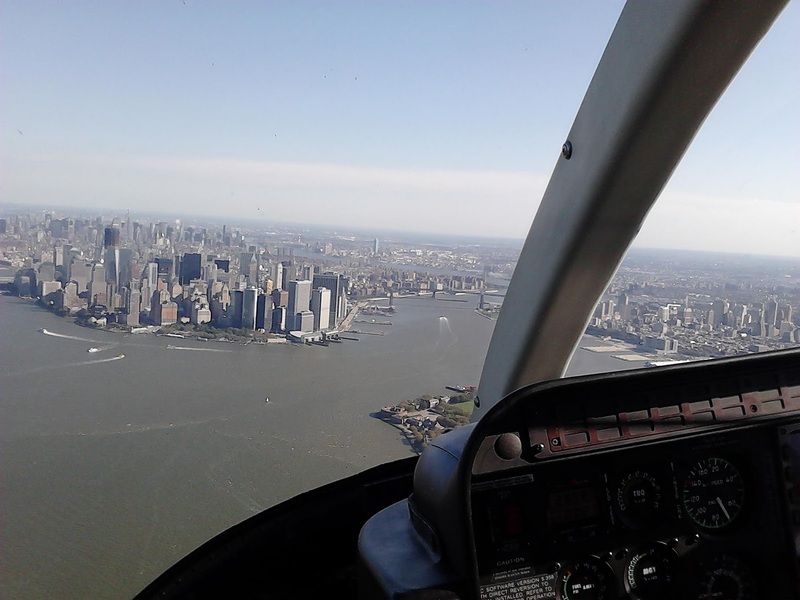 Began the day off with a helicopter ride off the Manhattan Heliport Pier. Lasted 15 minutes and circled around Lady Liberty and Governors’ Island, up the water divide between Manhattan and New Jersey, giving lovely views of the Manhattan skyline (where does it ever stop? ), Central Park, Empire State and Chrysler buildings. The plan began during my walk along the pier Friday and my stop at the heliport. The gentlemen at the heliport were quite helpful and dangerously flattering. I am sure their charm goes a long way. I thank them for their kindness. Trek around northern side of NYU and Greenwich Village for some light thrift shopping. Purchased two dresses and a book for a total of 26 dollars. I loved them and loved them that many dollars worth. 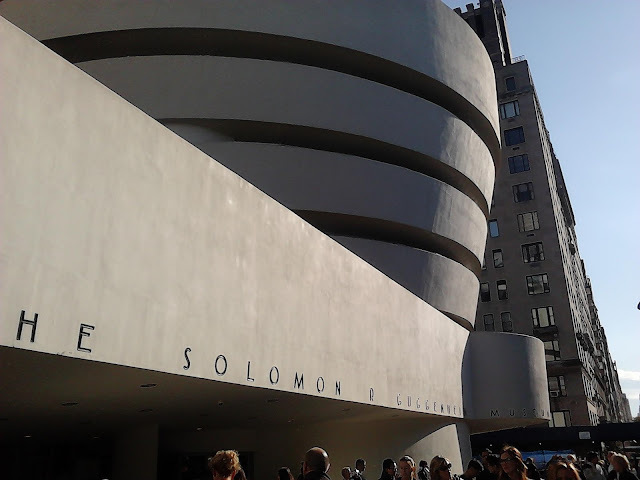 Up the 6 to 86th and a short walk to the Guggenheim Museum. As much as I had anticipated and demanded I make it there this go around, I have to admit that I was quite disappointed in the visuals I received. The Pop exhibition was great; very small but very strong pieces. However, the Nicola López installation purposefully obscured the rotunda of the museum, taking away, in my opinion, its most dominating attraction. I cannot say that I was alone in my distaste for the installation. And it is not wholly on the account of the missed view; I found the installation tacky and juvenile, some thing I would find in a first-year student exhibition, not at the Guggenheim. From the short amount I read on the piece during my visit, it seems a portion of the artist’s intention was to draw from the anticipation of viewers; perhaps, then, the artist achieved her intention. A cup of tea to cheer my late afternoon and a long walk in Central Park, beginning at the Jacqueline Kennedy Onassis Reservoir to pass Strawberry Fields. Another disappointment. Smaller than my expectations, as well as crowded – with both people and stuff. A live band near by was performing Beatles covers. It was mildly amusing. Dinner at Friend House again, this time for some hot food: miso soup and lo mein. The noodles were overcooked, otherwise very good. Walked to Strand Bookstore on Broadway and browsed for the last half hour before close. Got lucky there were not any Cummings or Camus books that I did not already own and I did not browse the 1 and 2 dollar carts on account as to not get carried away.